Carmen DeSousa: If I don’t remain focused on my task, I get distracted, and Twitter is now the most common culprit. If I don’t remain focused on my task, I get distracted, and Twitter is now the most common culprit. After twenty years of virtually no writing, I sat down one day, put my fingers to the keyboard, and just started typing. Two months, a neglected house, and very few restful nights later, I had a 120k-word novel. When I write, I do nothing but write. Writing literally consumes me morning, noon, and night. I don't want to eat or sleep. You thought I was going to say "or drink", didn't you? If you are a writer, you know that is the one thing writers do not give up—drinking. And for me, it's not alcohol, it's a steaming-hot latte in the morning, an iced latte in the afternoon, and then only because I have to feed the machine, I may throw in a protein smoothie of some variety in the evening if I don’t have time to eat. If it's not prepackaged and easy to prepare, I'm not interested. Only the writing matters. But there is one thing that sidetracks me—Twitter. I've taken advice and shut down my Internet Explorer, turned off notifications on the iPhone and iPad, and still, it pulls me in like a tractor beam. I simply have to check in to see what everyone else is doing. Then, I see a blog that pertains to whatever issue I'm facing—like Twitter distractions—and I've lost my train of thought. Yeah, I usually learn something on my bunny trails, but I often wonder how many more books I could write if I didn't allow myself the distraction. Of course, then, where would I sell those extra books? 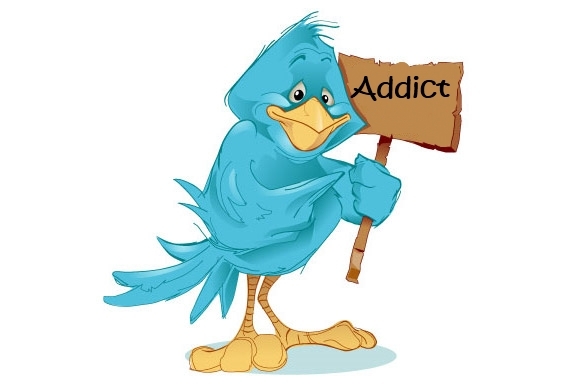 Face it, Twitter is a necessary evil, a social networking masterpiece, a marketer's dream. I have a backlog of books I've read excerpts and downloaded from #SampleSunday, and other great networking avenues I've found through the magic of Twitter, and still, I find myself looking for more. So, keep them coming, authors, it works! Twitter is definitely worth the distraction. Oh, and somehow, I did manage to write ten novels and three short stories. You can read about them below. Happy twittering and reading, friends. Six weeks ago I started what I kept calling a "Tweeter" account. I didn't know how to "twit". I kept at it and before long learned the proper way to tweet on twitter. I have found it to be a wealth of information and a great place to connect with people like you who are traveling the path ahead of me, leaving road markers along the way. Thanks for the encouragement.